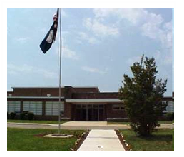 In 1935 parents, teachers, grade students, and a few administrative public school staffers saw the need for a high school in the western part of Mecklenburg County, Virginia. Mr. Lawrence O. Quallo, the principal of the Averette Grade School for four years, and Mrs. Matilda Booker, the Elementary School Jeanes Supervisor, took the lead in planting the seed of the idea and providing the necessary environment for the seed to grow and mature. After meetings of the Parent-Teacher Association (PTA) and programs to discuss needs in the communities from which students would come, a mass meeting was held with the Mecklenburg County Public School officials to discuss the needs and desires. The school officials came with a negative attitude toward the entire idea. . The patrons, parents, and teachers would not be denied. The officials left the meeting realizing that the inevitable was coming. West End High School officially opened its doors in September of 1935 with an enrollment of approximately 100 freshmen from the range of 14 to over 20 years of age. The range was of such to accommodate students who had finished elementary school, but had no place to attend to get more education. Mr. Robert O. Harris served as the principal and only teacher for the first year. Work continued to complete the construction of more rooms for other years and for courses of high school work. To save money and time, parents and students worked together to dig the foundation for the auditorium and science classroom. Several parents and patrons borrowed from the bank to buy materials to push the construction forward. Senior Leagues from the elementary schools gave large contributions. These schools included Antioch, Averette Grade School, Bluestone, Cedar Grove, Clarksville, Holly Rock, Island Hill, Moore, Oak Level, Mt. Ararat, St. John, St. Mark and St. Matthew. More than fifty parents gave gifts of $10 or more to aid with the buying of construction materials. Some parents purchased buses to transport the students to West End. These included Reverend Walter Day, Willie Hargrove, Sr., Sandy Harden, Allen Hughes, Hampton Jones and Erastus Manning. Other fund raising activities included selling dinners, holding rallies and other programs. Reverend George R. Yancey succeeded Mr. Harris as principal in 1938. The curriculum began to diversify to include vocational agriculture and home economics. A cafeteria provided hot lunches for the students and faculty. The first class of 20 students graduated on June 2, 1939. The school was accredited by the State Department of Education before this graduation. Reverend Yancey resigned as principal in October 1940 to accept the pastorate of the First Baptist Church in Greenwich, Connecticut. Mr. Phillip Walker served as the third principal until 1944. Mr. George Wood, who served until Mrs. Dorothy Jones Harris was assigned the position, replaced Mr. Phillip Walker. Mrs. Harris served until the era of desegregation with the intermission of time to start a family. Mr. James H. Gary served as an interim principal during that intermission. After the construction on Caroline Street was destroyed by fire, the school was divided by grades and was housed at Boydton and Thyne Elementary Schools. The new West End High School was dedicated in the fall of 1952.